International Day of the Girl matters because the world wasn’t built for girls to succeed. But when girls have a sisterhood to back them up, they have a better chance of becoming women who change the world. So on October 11th, honor (your) girls—of all ages—with us. Find your place in a global sisterhood. 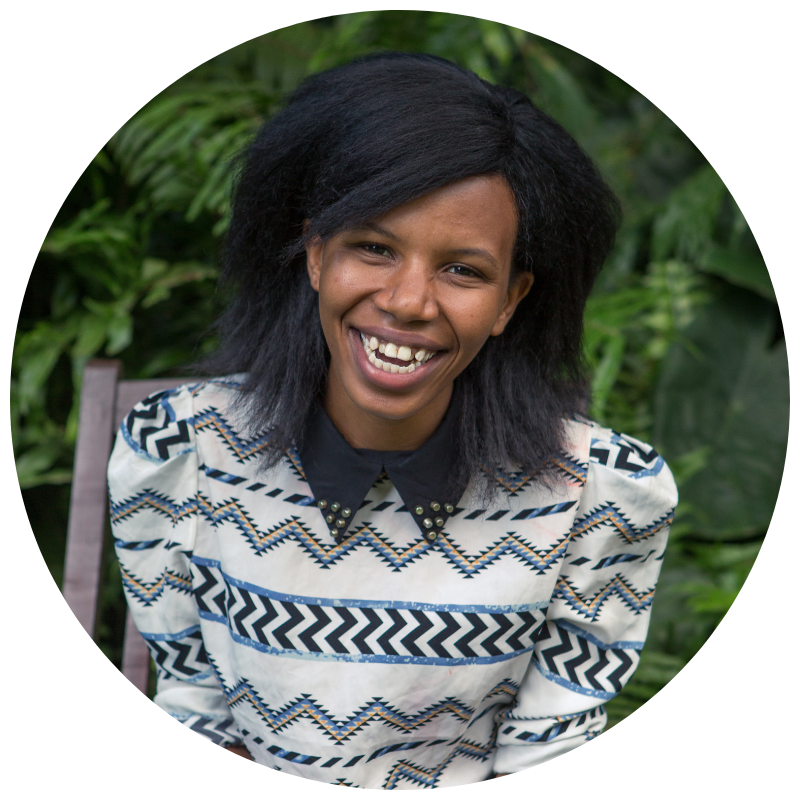 We’re proud to present an intimate conversation between actress and advocate Monique Coleman & graduated She’s the First Scholar Ellie Kaaya from Tanzania, who is a remarkable first-generation graduate, a community trailblazer, and our 2018 Day of the Girl Champion. Surprises—we can’t give away everything! Make a donation to She’s the First and we’ll save you a seat! The more the merrier: Invite 5 friends to join you! Ellie Kaaya is the youngest of nine children and the first in her family to graduate high school in Tanzania. She was a trailblazer in university, changing school policy to allow a woman to run for student body president. She’s now employed as a trained mentor and is a She’s the First Fellow. She is implementing a project in her community to engage parents in their daughter’s education. MONIQUE COLEMAN is an actor, producer, and global youth advocate. She's most recognized as Taylor McKessie in Disney’s High School Musical franchise. We know and love her as the first ever United Nations Youth Champion. She's the Founder & CEO of Motivated Productions with several projects underway, including Season 1 & 2 of “GimmeMo," a youth empowerment talk show, airing on Discovery Life this fall. MAHOGANY L. BROWN was born in Oakland, California but has been based in Brooklyn, NY for over 15 years. A strong, black woman, Browne is unapologetic in her work as a spoken word poet, author, and activist. She uses her personal experience with addiction, racism, sexism, and oppression to inspire her own brand of shameless, authentic work. Browne’s spoken word performances create a platform through poetry for women and girls to feel empowered and heard. KIMOTHY JOY is an artist and author who focuses on creating artwork that empowers women and girls. Her recent book, That’s What She Said: Wise Words from Influential Women, combines watercolor portraits with hand-lettered quotes to showcase a diverse, inclusive collection of women’s voices. 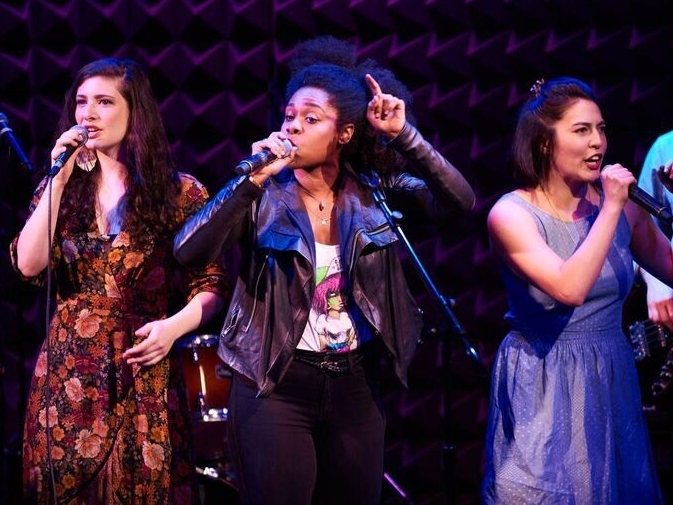 SHAINA TAUB (right) is a composer, lyricist, and performer, not to mention the first female recipient of the ASCAP’s Lucille and Jack Yellen Award. She’s now the lyricist working with Elton John on a Broadway adaptation of The Devil Wears Prada. CHERRYE DAVIS (center) is an actor, poet, playwright, educator, and MC. She’s also a proud graduate of NYU's Tisch School of the Arts. KATE FERBER (left) is a singer, songwriter, and actress whose EP The Great Thaw is available on iTunes and all streaming platforms. HALLEASE, our MC for the evening, is a video producer, editor and content creator based in Texas. She graduated from the University of Texas at Austin with a Bachelor of Science in Radio-Television-Film. Always interested in documenting and reflecting on her life, she created her YouTube channel – Hallease. This allows her to catalog her life through short films, reviews, and occasional collaborations -- all while exploring identities and cultures. TAMMY TIBBETTS & CHRISTEN BRANDT are the Co-Founders of She’s the First. In nine years, they’ve spearheaded She’s the First’s growth from a YouTube video campaign into an ever-expanding global NGO reaching 21 countries and 150,000+ students around the world. Outside of STF headquarters, they’re developing a new project to help others amplify their personal impact strategies. To discuss partnership or sponsorship opportunities, email Katie Riley, Director of Strategic Partnerships, at [email protected].